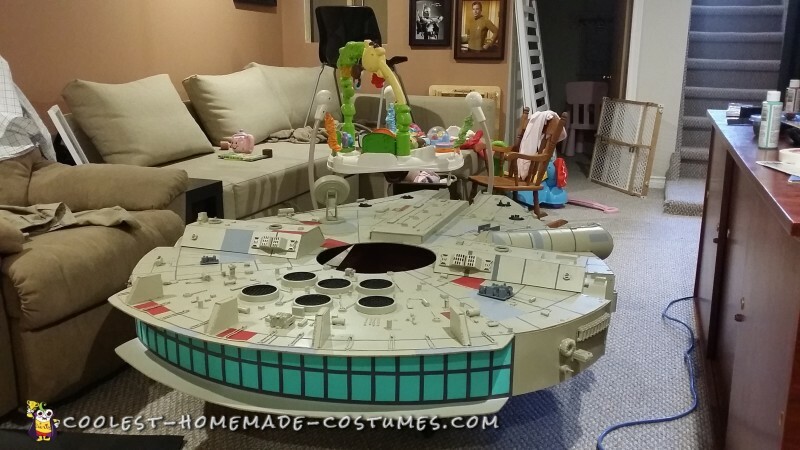 Where to start… ok 106 hours, 38 Days and The Millennium Falcon was born. I wanted to take my 15 month old Daughter to our local Comic Convention and thought that her wagon would be the best way to take her, it’s very very busy and she is getting big/heavy and I can not carry her for 3/4 hours. 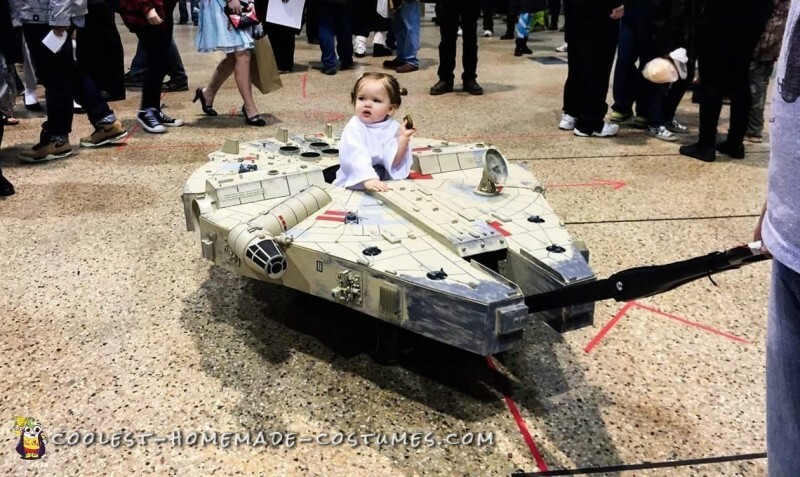 So why not in her wagon… but I thought why not design something for her wagon, and then it hit me THE MILLENNIUM FALCON. 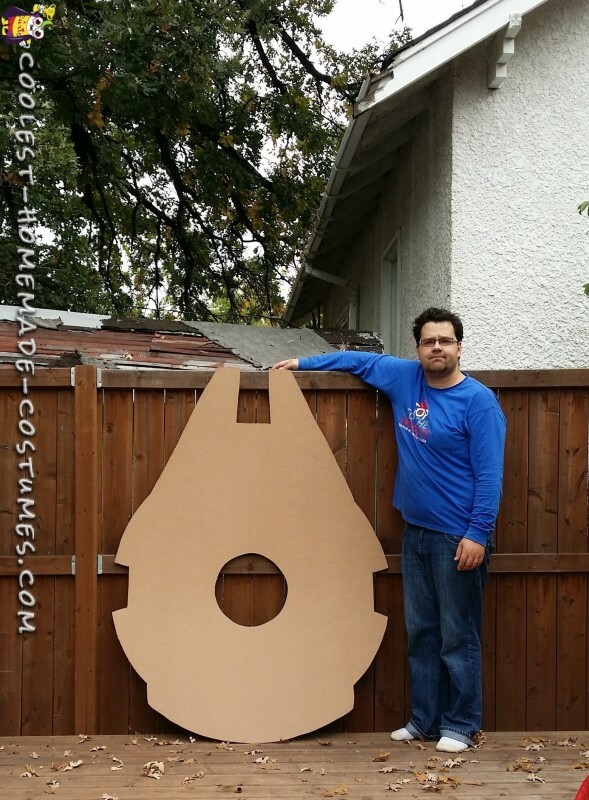 So what I did was buy 2 sheets of Hard Board and blew up a Falcon picture and traced it out on the hard board. Then I cut it out using tools. 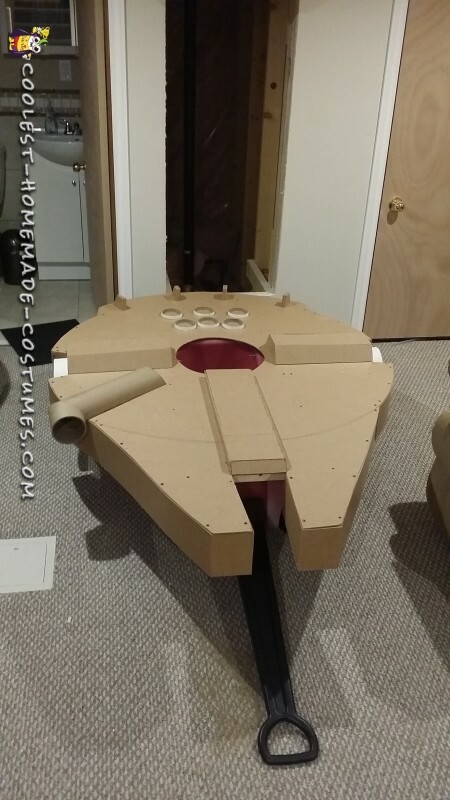 Once I did that I started to connect the walls of the Falcon. 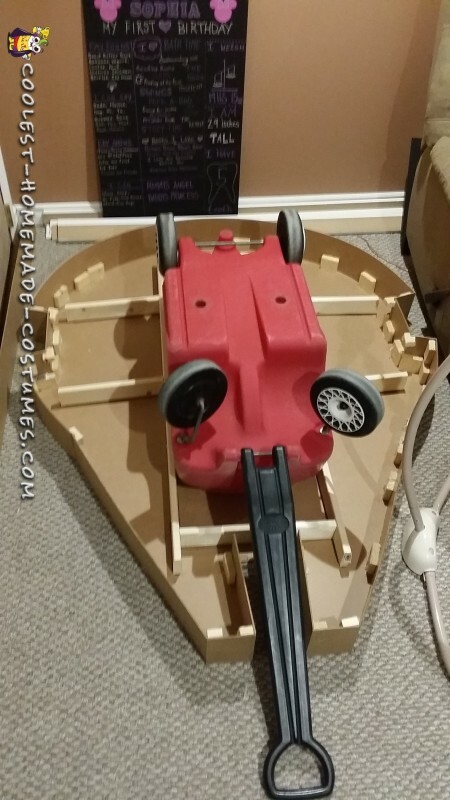 Once those were connected I centered it on the Wagon and mounted it using wood and bolts. 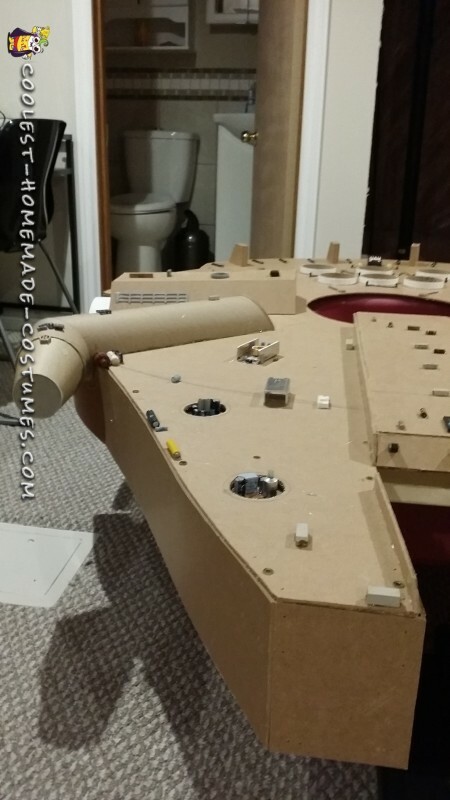 Once it was bolted onto the Wagon I then started the 3d shapes, the escape pods, back wing fins, the cockpit pit, and the front center thing… lol. 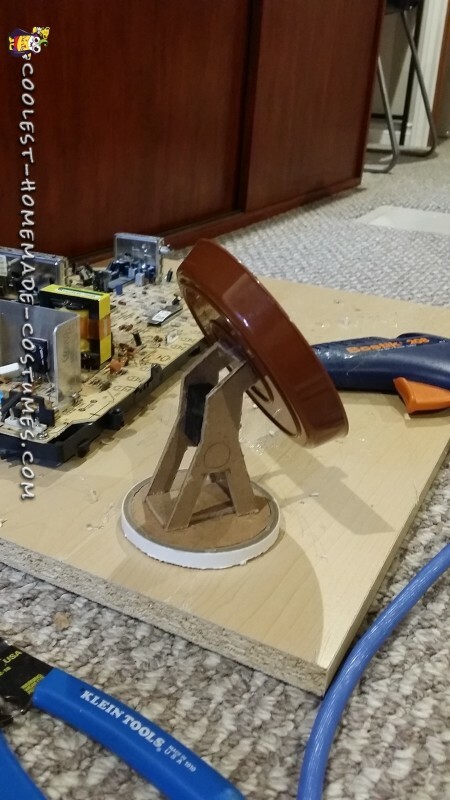 Once I finished that I glued all of it on using HOT GLUE. I then moved onto the fine detailing, all the gadgets you see on it. And glued them all on, I was able to copy the picture I printed/looked online as well. All the computer parts/gadgets were from a local computer recycling plant, and all the 3d plastic parts like the cockpit pit, the satellite dish, the escape pods and the exhaust system were donated from an art recycling store. 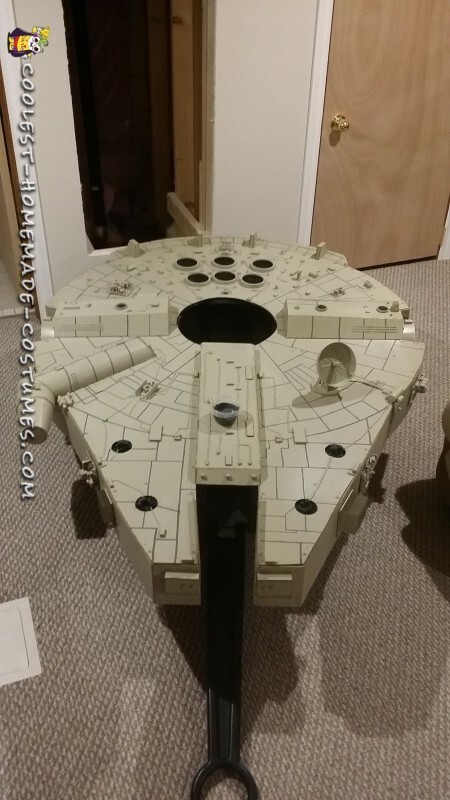 Once all that was glued on it was time for all the painting… so I started with the base coat which I had to find a cream/beige/tan/green color because that’s the actual color of the movie Falcon. Once the base coat was painted it was then time for all the detailing… so I did that… the back tail engine entrance. 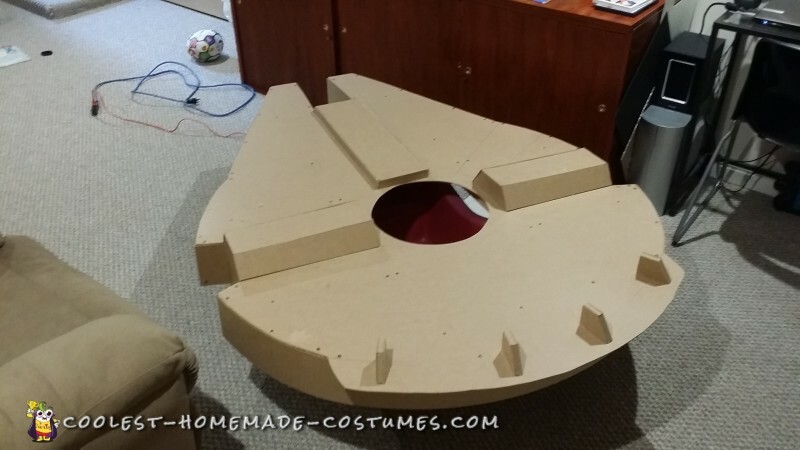 And there my friends is how you build a realistic Millennium Falcon! Oh by the way it final size is 4ft X 5.6ft with the handle 8ft long. Thousands of pictures were taken of these Beast during the Convention. WOW! I just want to say nice job buddy! 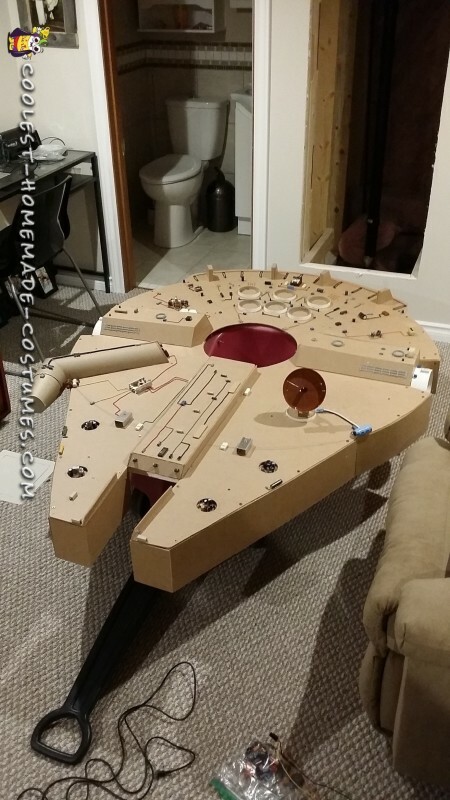 This version of the Millennium Falcon is OUTSTANDING, I bet you guys had a lot of fun building it and showing it off. Are you going to be doing any other Ships/Vehicles from Star Wars? Anyways great job!